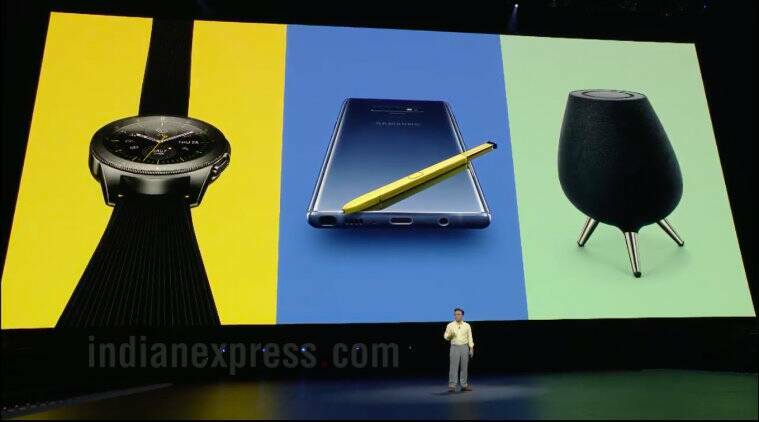 Samsung Galaxy Note 9, Galaxy Watch, and Galaxy Home speaker were launched at the company’s Unpacked event on August 9. Here is a look at their price, specifications, and features. The Galaxy Note 9 along with Galaxy Home speaker and Galaxy Watch were unveiled at the company’s “Unpacked” event in New York on August 9. The Galaxy Note 9 comes with more-or-less the same design that we saw on its predecessor Galaxy Note 8, though the S Pen has received a major upgrade. 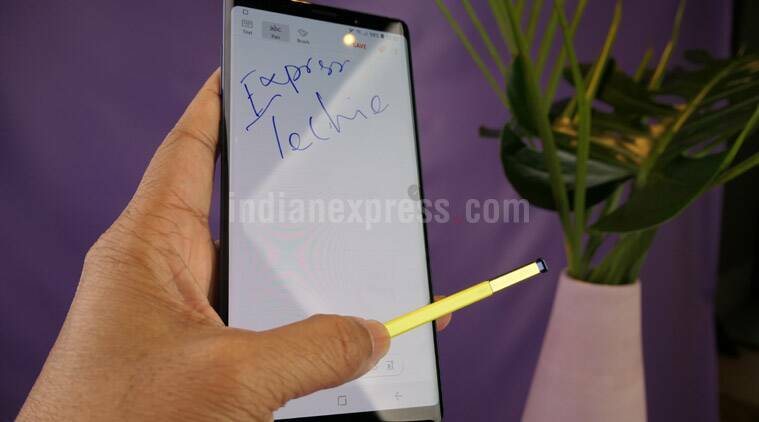 Samsung Galaxy Note 9 is the company’s latest Note device and it features an Infinity display, dual-rear cameras, and comes in 512TB storage option. The S Pen is the highlight, which now supports Bluetooth connectivity and lets users take photos with the stylus. It can basically act a remote for various tasks on the smartphone. Galaxy Note 9 gets a 6.4-inch Super AMOLED Quad HD+ display with a resolution of 2,960 x 1,440 pixels. The screen has an aspect ratio of 18:9. The phone is IP68-certified for dust and water resistance. Samsung Galaxy Note 9 gets a 6.4-inch Super AMOLED Quad HD+ display with a resolution of 2,960 x 1,440 pixels. Samsung Galaxy Note 9 is powered by the Qualcomm Snapdragon 845 octa-core processor, clocked at up to 2.8GHz, paired with Adreno 630 GPU for graphics performance. India will get the Exynos 9810 processor variant, and not the Qualcomm one. The phone will be available in two storage models: 6GB RAM+128GB storage, and 8GB RAM+512GB storage. Expandable storage up to 512GB via a microSD card is also supported. The Note 9 is backed by a 4,000mAh battery with Quick Charge 2.0 and wireless charging support. Samsung Galaxy Note 9 features dual rear cameras, a combination of 12MP wide-angle primary sensor with SuperSpeed Dual-Pixel Autofocus, f1.5/f2.4 variable aperture, and optical image stabilisation (OIS) as well as a secondary 12MP telephoto lens with f/2.4 aperture and OIS. It supports 2x optical zoom and up to 10x digital zoom. The front camera is 8MP with autofocus and f/1.7 aperture. The phone runs Android 8.1 Oreo-based Experience UI out of the box. 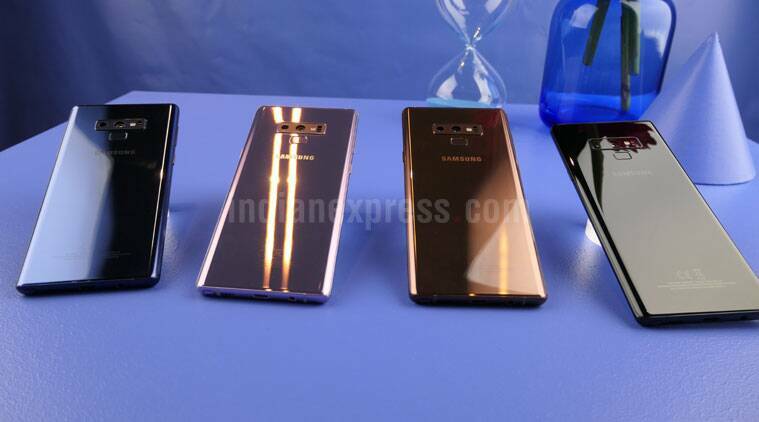 Samsung Galaxy Note 9 will be available in lavendar purple, ocean blue, metallic purple, and midnight black colour models. The new Galaxy Note 9 is priced at $999.99 in the US for the base storage model. The 512GB storage variant is priced at $1,249.99. Both the models will be available starting August 24. The phone will be available in lavender purple, ocean blue, metallic purple, and midnight black colour models. Samsung Galaxy Watch comes in LTE and non-LTE variants. Galaxy Watch will be available in 46 mm size in Silver colour option, while there will be a 42 mm variant as well in rose gold and black colour options. The LTE variant can function fully independently without connecting to a phone, says Samsung. Another highlight is its over 80 hours of battery life. It supports voice-based assistant Bixby as well. Galaxy Watch features a high-res AMOLED display with Corning Gorilla DX+ glass protection. 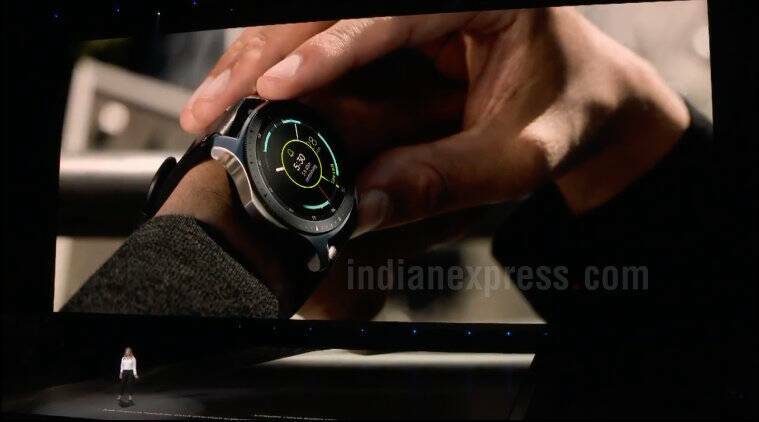 It has a rotating bezel on top and comes with over 60,000 watch faces from Galaxy Watch store. The watch is IP68-rated for water-resistant. It is said to offer up to 39 workout modes for fitness trackers, an upgrade from 10 modes available on Gear S3. Samsung Galaxy Watch features a high-res AMOLED display with Corning Gorilla DX+ glass protection. Samsung claims that its 46mm Watch variant will last more than 80 hours with typical usage and up to 168 hours with low usage. The Galaxy Watch 42mm option will last over 45 hours with normal usage and up to 120 hours with low usage. The launch date and pricing have not been announced yet. Samsung Galaxy Home will compete against Amazon’s Echo, Apple’s HomePod, and Google Home. 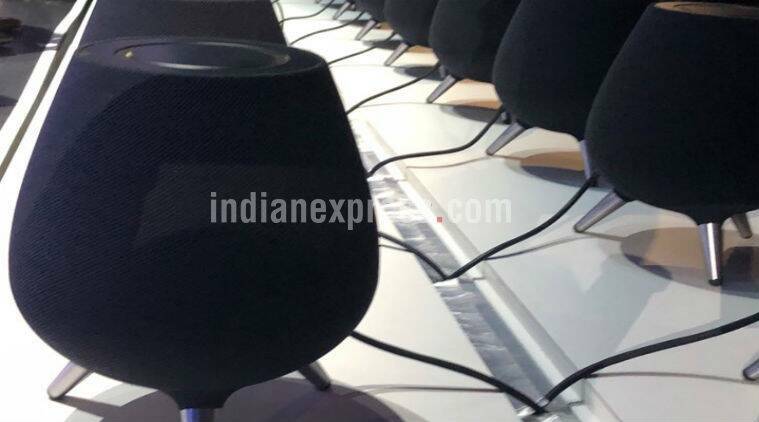 Galaxy Home is the company’s first smart speaker ever, and it is powered by Bixby. Galaxy Home sports a built-in subwoofer and eight-microphones designed for a similar far-field communication. The speaker has a fabric cover on top and three legs. It also sports AKG-tuned speakers. The smart speaker will compete against Amazon’s Echo, Apple’s HomePod, and Google Home devices. Details on launch and pricing are yet to be announced.